You know it’s going to be good day when God starts it off with a double rainbow! 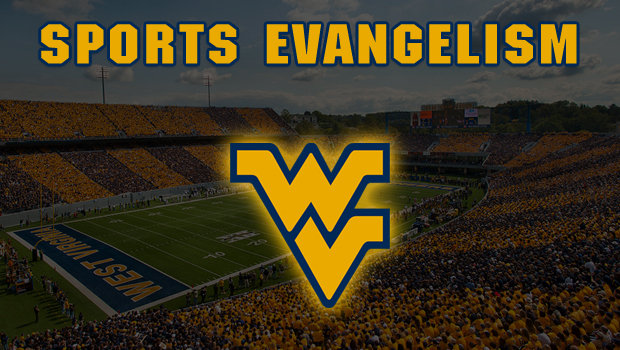 MORGANTOWN, WV – As the Fall season rolls in with the cooler weather and occasional shower, the Gospel must continue to go forward. And go forward, by God’s grace it did. 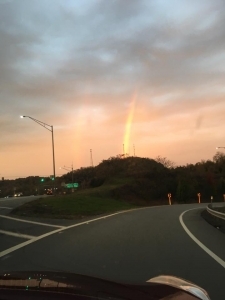 Our early morning commute to Mountaineer Field for the WVU vs. Oklahoma State University was greeted with a double-rainbow peeking through overcast skies. 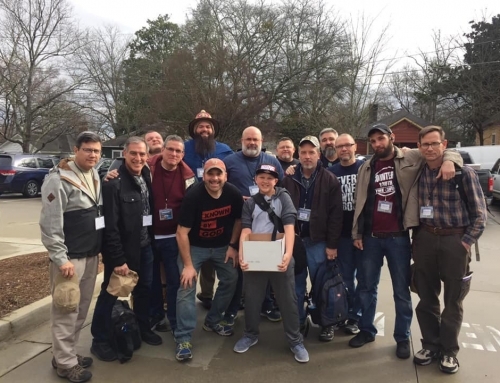 As, Eric and I wrapped up a quick breakfast, we headed to meet the rest of the team with Andy and some brothers from his church and another brother from 5 hours away in Lynchburg, VA.
We met up, parked, and headed to the field. We were able to secure an fantastic spot, smack in the middle of the front of the stadium. That area is growing every Saturday as more and more vendors are taking advantage of the prime location. Thus far, it appears to be first come, first serve. 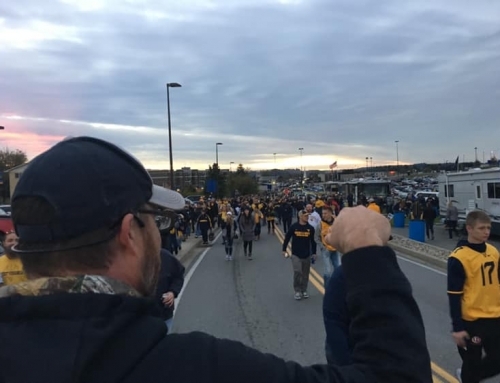 Due to the growing popularity, our usual strategy of arriving 3 hours prior to kickoff will have to be adjusted to at least 4 or 4 1/2 hrs before kickoff to ensure a good spot. Brother Andy started the preaching off, then myself, Eric, and the other two brothers from Andy’s church. Then, brother Larry (from Lynchburg, VA) mounted the box and “broke the sound barrier” for the first time. How exciting to see a brother preach in the open air for the first time! Brother Joseph Graves who we met on the Fall College Tour joined us as well. As the morning went on it was pretty much business as usual. 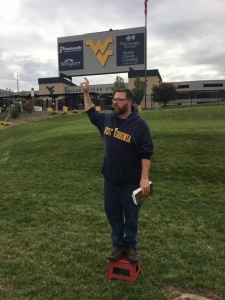 Most hecklers were drive-bys with several tracts going out and a handful of one-on-one conversations that took place along the way. 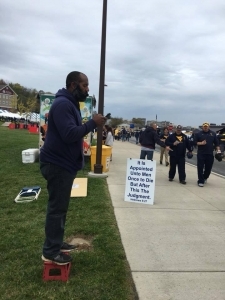 Probably the most troubling moment came when a few WVU students who were scantily dressed with little left to the imagination mocked and even offered us propositions to do lewd things with and to them. Talk about a modern day illustration of Sodom and Gomorrah… Yowza! All either of us could utter was “Turn to Christ”. While I was handing out tracts, I noticed a woman who had a food trailer next to us reading one of our tracts. When she finished, she made eye contact with me and motioned me to come over. 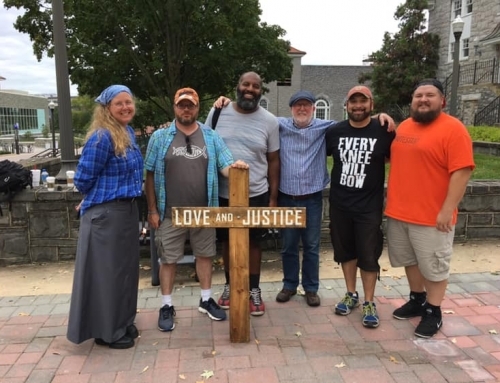 She thanked us for being out there and even shared a story of how she was having difficulty ministering to her sister with some of the very same truths we were proclaiming. She encouraged us to continue preaching the Gospel as she agreed many there lost in their sin needed it. Larry Allen breaking the sound barrier for the first time! The biggest hurdle was competing with the ambient sound of the tailgating community. 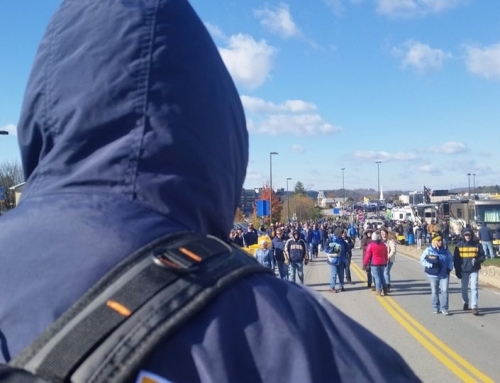 Many at WVU games bring a small PA system that a band could play through for their tailgates. One particular group across from us pointed their speakers right at us and cranked it up. 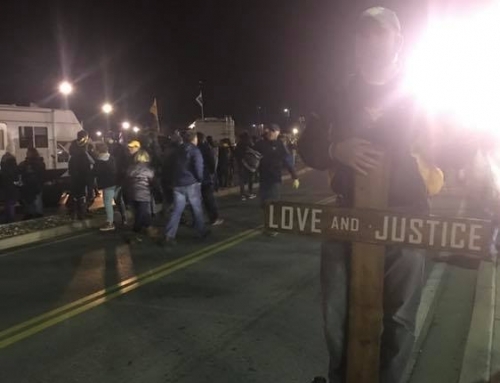 Yet, when their tailgate filled up with folks reveling in alcohol and such, the bodies created a natural sound barrier that took care of the issue. Additionally there was one radio station that purposely turned a speaker directly as us. They were but a minor annoyance and no one paid much attention to them. All in all, it was a pretty typical day at the game. All 7 of our team preached at least once and were able to distribute many, many tracts. God was gracious to hold the forecasted weather off us until after we were finished.